Duke the Great Dane may not really understand just how big he is. 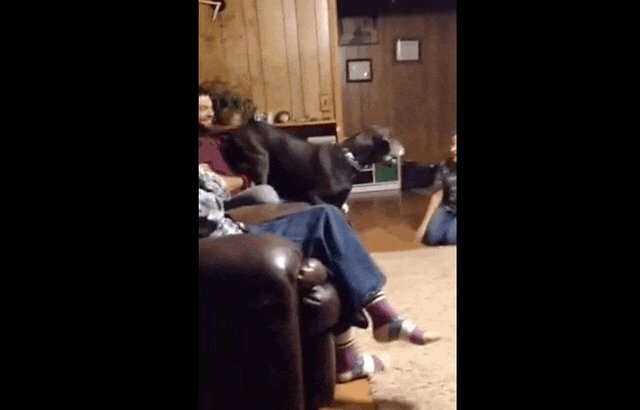 His family introduced him to a Chihuahua last year and caught the whole thing on video. 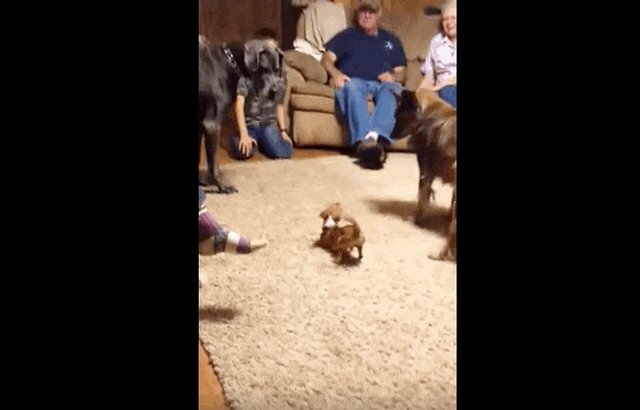 The reactions are a pretty wild window into dog's psyches. At first Duke just stared ... like he didn't understand just what he was looking at. But then Duke started to get a little scared of his tiny new friend. So he retreated into the safety of his human's lap. 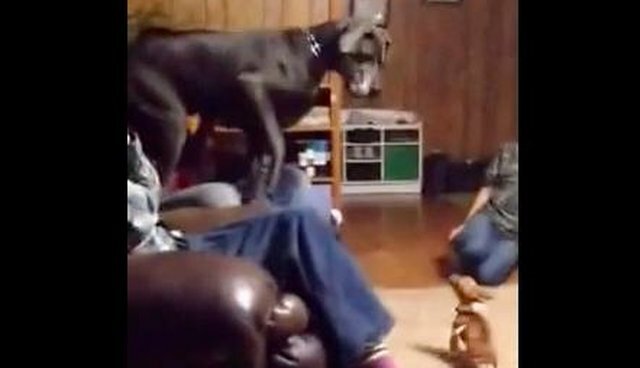 "This is Duke, our 105 lb dane, backed up scared by my mothers 3.5 lb chihuahua when they first met," Matthew Sorrells, who uploaded the video, wrote on YouTube. Duke may be a big dog, but he's a softy inside. And this little Chihuahua pal isn't messing around. She's the boss ... and everyone knows it. Duke has a bit of a history of being easily frightened by much tinier animals. "I'm just glad Duke wasn't as scared as he was when he first met a baby chicken, since he pooped on himself at that time," Sorrells wrote on YouTube.